The above article, published by the British Journal of Pharmacology in June 2011 (http://onlinelibrary.wiley.com/doi/10.1111/j.1476-5381.2011.01305.x/full), has been retracted by agreement between the authors, the Journal Editor in Chief and John Wiley & Sons Ltd. 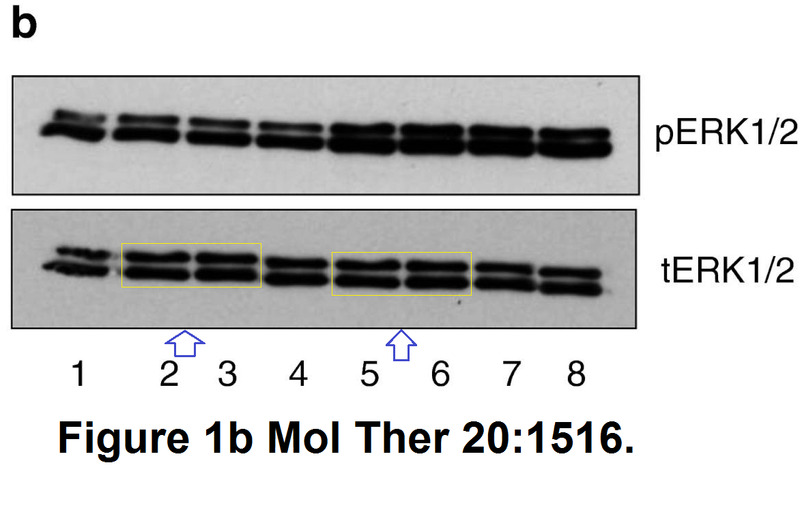 Formal internal investigations by the British Journal of Pharmacology have concluded that inappropriate manipulation of western blots depicted in Figures 1, 8 and 9 has occurred. The non-corresponding authors (M MacLean, B Doyle, K Mair, M Nilsen, W Kolch) wish to state that they had no knowledge that the figures in question had been manipulated. These issues are currently being investigated by the University of Glasgow. The retraction statement has also been approved by The University of Glasgow Research Integrity Council. “Mice lacking the Raf-1 kinase inhibitor protein exhibit exaggerated hypoxia-induced pulmonary hypertension” has been cited 10 times since it was published in 2011. PubPeer users flagged the figures in question in 2014 and 2015. In the first place I assessed the issues raised and we conducted some internal assessment regarding the figures and I also asked an experienced academic for an independent opinion. Our assessments indicated that there were issues of potential duplication with three of the blots in question. We then contacted the corresponding author with our concerns to essentially offer the authors an opportunity to explain. The University of Glasgow then initiated an internal investigation and we were asked to allow that investigation to be completed which we agreed to. However, the authors came back to us just prior to our 6 month time limit for university investigations indicating that they wished to proceed with retraction. We agreed [to] a retraction statement with all of the authors which we duly published. We are unaware at this time of the outcome of the university investigation. The University cannot discuss the details of an ongoing investigation. Mol Ther. 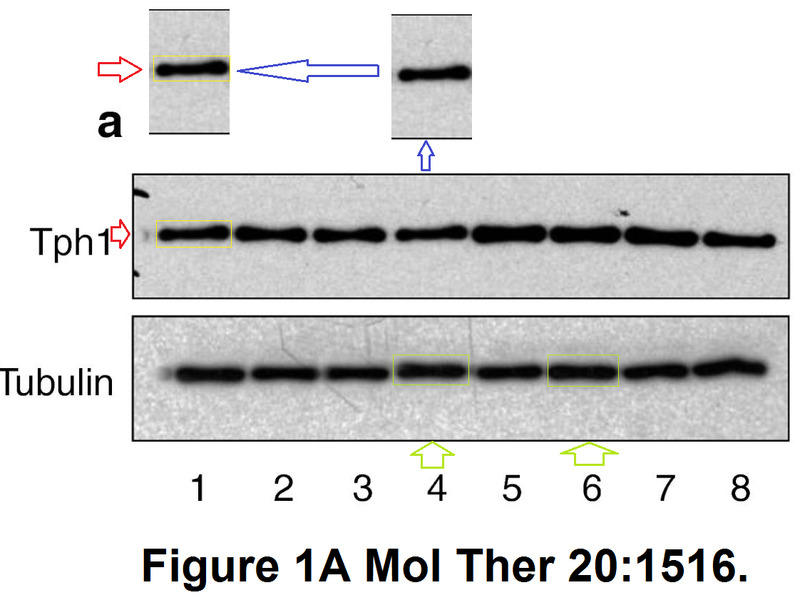 2012 Aug;20(8):1516-28. doi: 10.1038/mt.2012.70. Epub 2012 Apr 24. Gene therapy by targeted adenovirus-mediated knockdown of pulmonary endothelial Tph1 attenuates hypoxia-induced pulmonary hypertension. Morecroft I1, White K, Caruso P, Nilsen M, Loughlin L, Alba R, Reynolds PN, Danilov SM, Baker AH, Maclean MR.
Institute of Cardiovascular and Medical Sciences, University of Glasgow, College of Medical, Veterinary and Life Sciences, West Medical Building, University of Glasgow, Glasgow, UK.